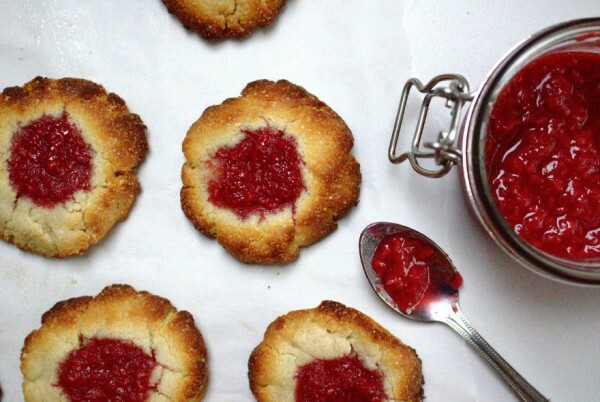 The idea for these raspberry thumbprint cookies came from having an abundance of raspberries in the fridge on the brink of going off. That, and I had a massive craving for something sweet (shocker!). 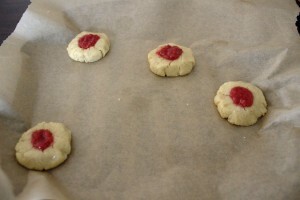 I will never forget the day I made these raspberry thumbprint cookies for the first time. It was the day that hurricane Ophelia hit Ireland. 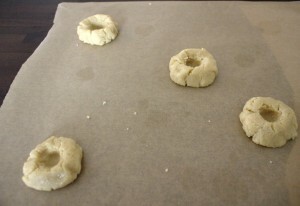 I woke up early to start my baking before the inevitable happened. We lost power and water…for a week! That night, as we gathered around the candles, as least we had some delicious snacks! 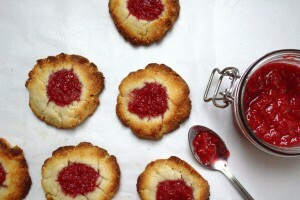 This recipe might seem like a lot of work because you need to make a raspberry jam but it’s actually super easy and quick. These cookies have a definite Christmas feel about them. Ok, maybe it’s just the red colour but I think they could make a really cute Christmas gift. I’m all about food gifts the last few years. People seem to really appreciate receiving something cooked with love. I guess food gifts are important to me now because since beginning SCD, I spend so much time cooking. Sometimes I forget that not everyone is as food-obsessed as me! 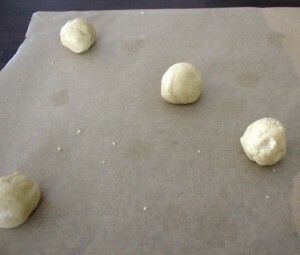 I love experimenting with new SCD snacks. You’ll rarely see me enjoying the same snacks from week to week. Time consuming? Sure. But so worth it. I love nothing more than surprising my husband with another healthy treat to try. Honestly, he’s quite baffled at the variety of my diet now. 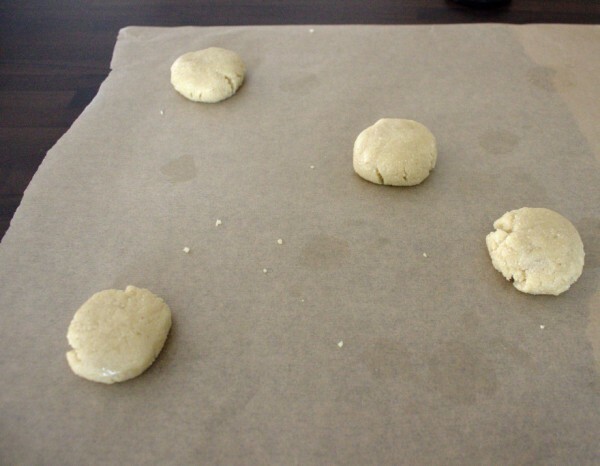 I remember when I first went gluten, grain and refined sugar-free. I spent my days anxious wondering “what would I eat?”. Now, two years later, I look forward to every meal. I don’t eat to live, I LIVE to eat! I am so grateful for that.